Home » Religion » Is it Possible to tell what Jesus looked like ? Jesus is arguably the most influential person in history as well as the most painted figure in all of Western art, but paradoxically we have no idea what he really looked like when he walked the earth. 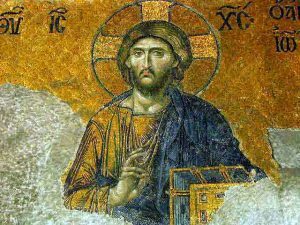 Medieval to modern artistic depictions of Jesus would often have us believe that Jesus was a tall, white, blue-eyed, long haired man with a neatly trimmed beard. These ‘ideas’ would have been largely influenced by the prevailing culture, religious beliefs, and the wishes of the patrons commissioning these artworks as well as how the artists themselves felt about the person of Jesus. So the truth is likely to have been quite different. Using what we know from history, archaeology and modern physiology techniques is there a way we surmise what a first century AD Jewish Rabbi, teacher, preacher and carpenter might have actually looked like? We do know a little bit about Jesus’ personal life or relationships especially with regard to his family. His mother, brothers and sisters figure in the gospel story (Mark 6:1–6). His brother James, who had not been a follower, evidently claimed to have seen the risen Jesus (1 Corinthians 15:7). James then became a major leader in the earliest church (Galatians 1:18–19; 2:9). But Joseph does not appear during Jesus’ ministry, and Jesus is rarely called “son of Joseph” (John 1:45). From antiquity it has been inferred that Joseph had died before Jesus’ ministry began. That is quite possible, although we are not told in the New Testament itself. Joseph is simply absent. The earliest apparent representations of Jesus, to date, are in the Roman catacombs (dating from first half of the 3rd Century AD). However the art is stereotypical as are other portraits of this period. In these portraits Jesus is portrayed beardless, as the Good Shepherd. By the fourth century, however, he has grown a beard and begins to look more familiar. In the 1st Century Graeco-Roman world, being clean-shaven and short-haired was considered pretty much essential for your average man. However Jesus’ isn’t your “average man”. A great mane of luxuriant hair and a beard was seen as a godly feature. Also a certain unkempt look, including a beard were thought to differentiate a philosopher (who was thinking of higher things) from everyone else. However to counter this point it should be noted that a beard was not necessarily distinctive of being a Jew in antiquity. If he had had even slightly long hair, we would expect some reaction. Jewish men who had unkempt beards and were slightly long-haired were immediately identifiable as men who had taken a Nazirite vow. 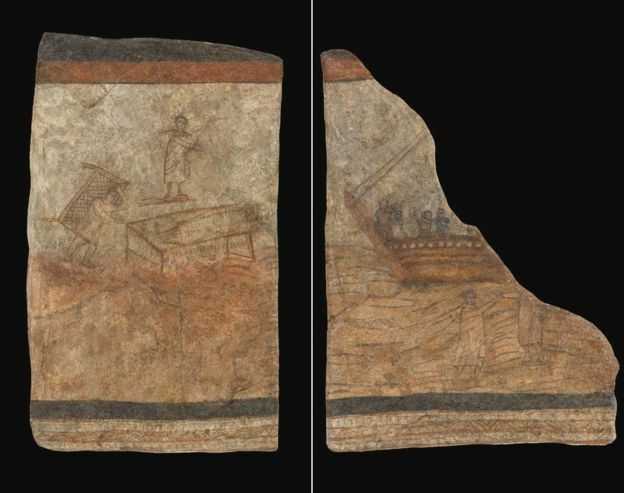 This meant they would dedicate themselves to God for a period of time, not drink wine or cut their hair – and at the end of this period they would shave their heads in a special ceremony in the temple in Jerusalem (as described in Acts chapter 21, verse 24). Jesus clearly didn’t do this so, as a philosopher he might well have had a short beard but his hair was probably not very long. 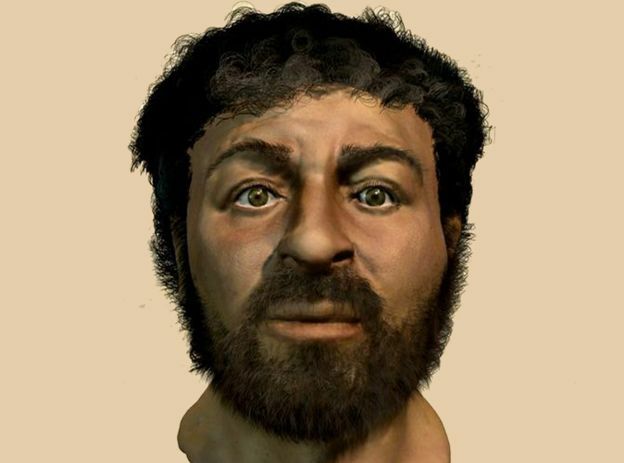 As to Jesus’s facial features we can be certain they were of course those of a 1st century Jewish man Jewish. That Jesus was a Jew (or Judaean) is certain in that it is found repeated in diverse literature, including in the gospels themselves. So how do we imagine a Jew at this time, a man “about 30 years of age when he began” according to Luke chapter 3? In 2001 forensic anthropologist Richard Neave created a model of a Galilean man for a BBC documentary called “Son of God“. He was working from an actual skull found in the region. Of course he was not claiming it was Jesus’s face but that it was simply meant to prompt people to consider Jesus as being a man of his time and place, since we are never told he looked distinctive. For the majority of Jesus’ life, 30 years or so, Jesus was a carpenter, working without the benefit of modern tools so he therefore, must have had a pretty sturdy build. Indeed we are given a clue to that in that early in his ministry, he single-handedly “drove all those with the sheep and cattle out of the temple, and he poured out the coins of the money changers and overturned their tables.” (John 2:14-17). It would takes a strong and powerful man to perform that feat. When all is said and done, whatever Jesus may have looked like it’s the effects of his life and teachings that are the most important and telling influence on our World today that really matters.